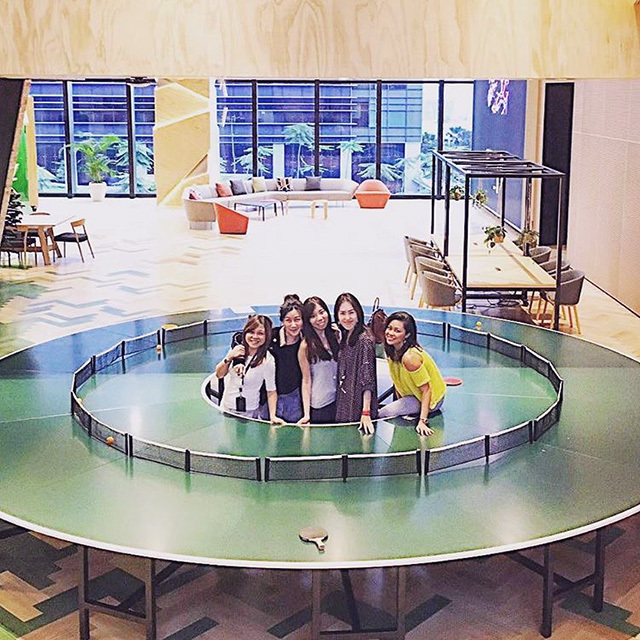 Here is a photo I found on Instagram from Abigail Huang of the Google Asia office. It shows a ping pong table but in a circular form. The ladies are all in the middle posing for the picture. But honestly, I am not 100% sure how this version of the game works. Does one person play in the middle or on opposite sides?